The Washington Ballet's Daniel Savetta performs a solo act from 'Blue Until June' at the center of the National Museum of Women In The Arts building. 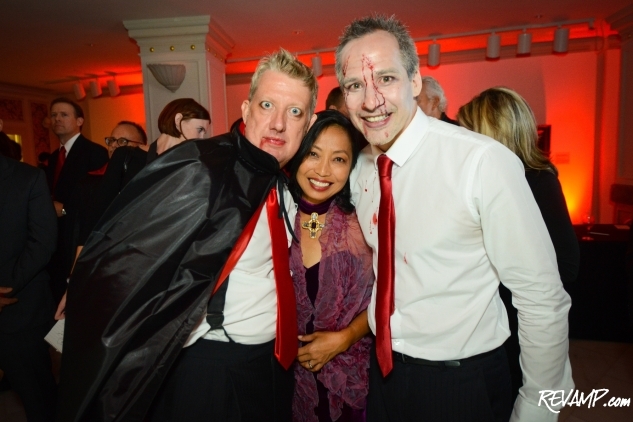 Be sure to check out all 147 of our photographs from this event HERE! 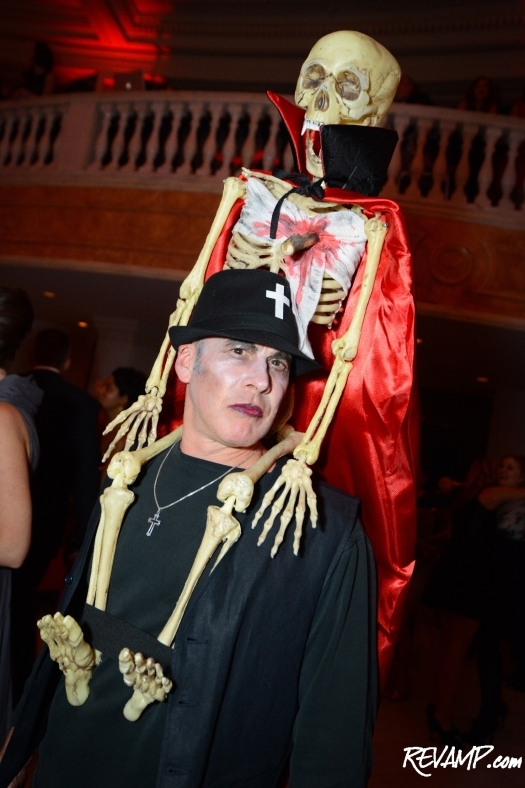 NORTHWEST -- The fangs came out on Friday evening inside the National Museum of Women in the Arts, during The Washington Ballet�s much-looked-forward-to annual fall fete. 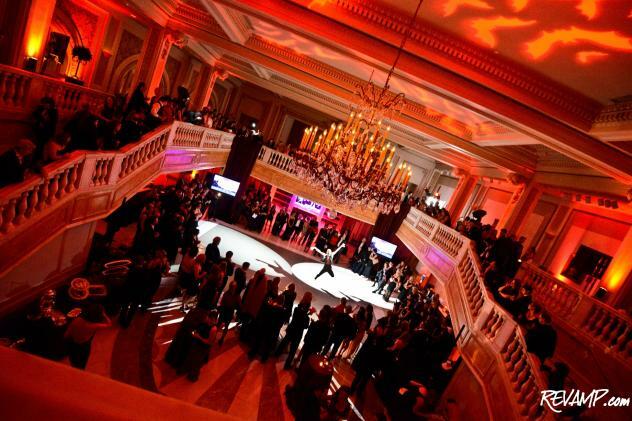 Rent The Runway styled Dracula Soiree event chairs Indira Mehrpour, Sara Lange, Ava Deylami, and Nasim Deylami for the occasion with dresses, bags, and even jewels. 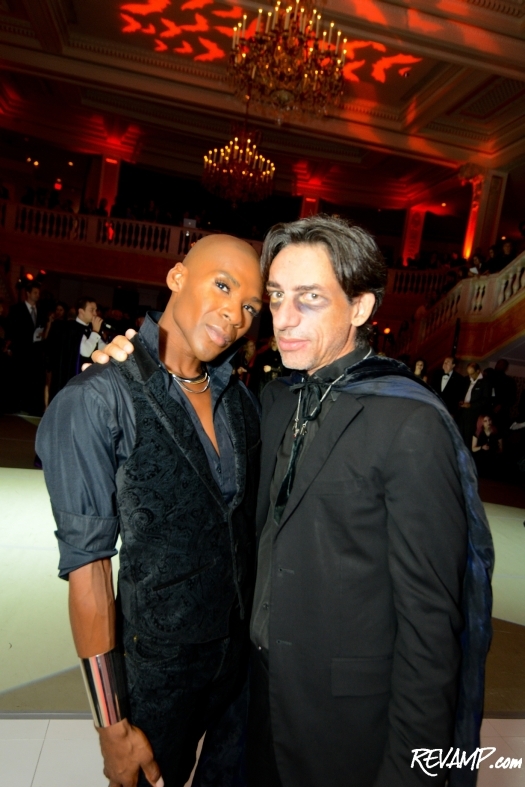 Washington Ballet�s Aaron Jackson and Artistic Director Septime Webre. 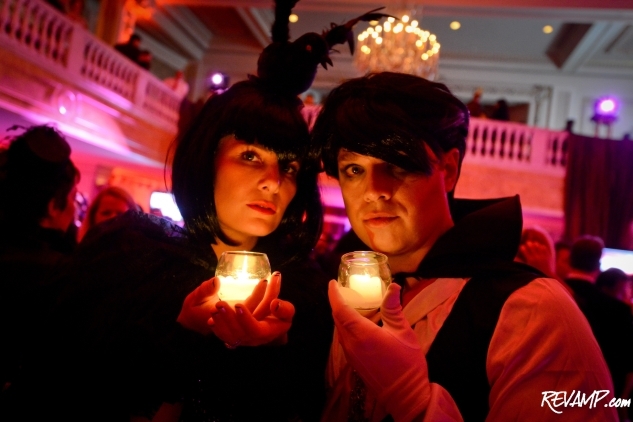 As it is each year, the occasion�s theme drew inspiration from the dance company�s season opener, with the weekend�s Dracula Soire� even going so far as to feature a live preview performance from the upcoming production of Michael Pink�s Dracula. Excerpt performance from 'Blue Until June'. 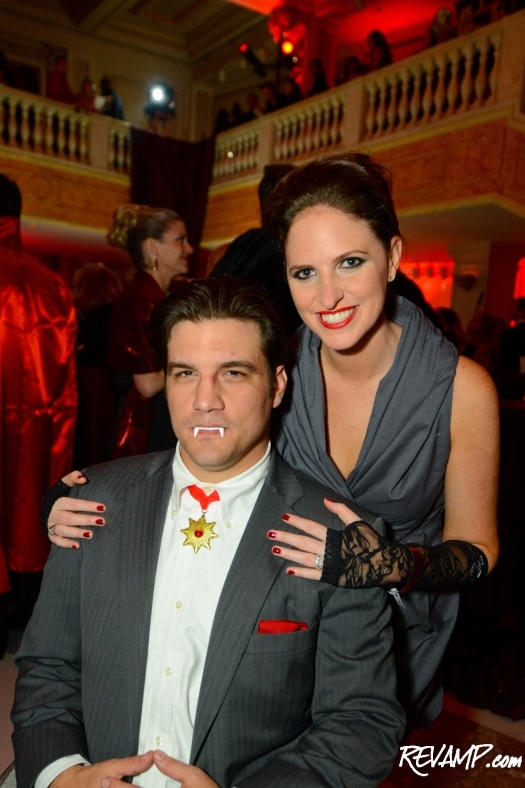 Rewarding guests for their creativity, Artistic Director Septime Webre hosted a friendly costume competition for the attendee who best interpreted the �vampire chic� dress code, with the winner taking home complimentary tickets to the upcoming performance at the Kennedy Center and dinner for two at an area restaurant � all in addition to bragging rights, naturally! 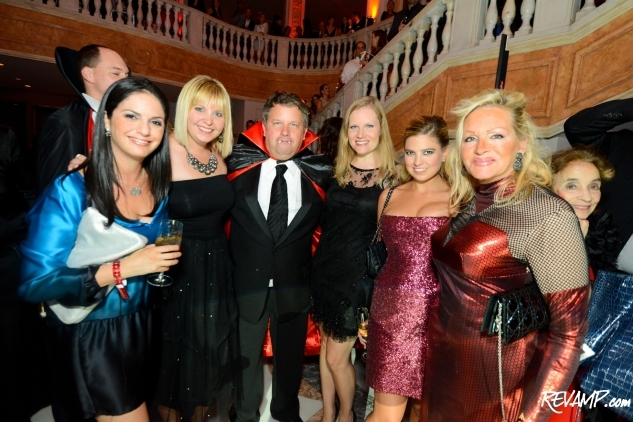 This year�s Dracula Soire� was jointly hosted by The Washington Ballet�s Women�s Committee and Jet� Society and their level of commitment towards the event readily shined through. 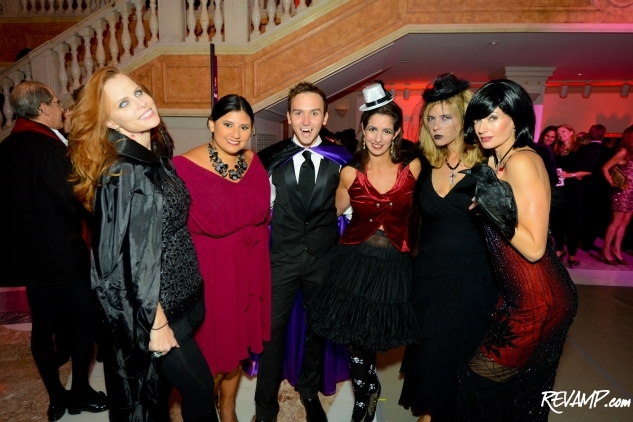 In addition to a buffet supper and bottomless cocktails, ticketholders were treated to a sinfully colorful lipstick bar courtesy of Saks Fifth Avenue and a prop-laden �Poshbooth� photo booth to commemorate the night. The Tommy Show�s Tommy McFLY and Kelly Collis also hosted a competitive live auction, which by itself raised thousands of dollars for the nonprofit, thanks in no small part to the terrific prizes up-for-bid, including a pair of front row seats to one of the Washington Nationals� playoff games donated by TWB Dance Party co-chair Winston Lord. All throughout the night, guests also were free to indulge in open access to the museum�s newly unveiled Women Who Rock: Vision, Passion, Power exhibit, which highlights the importance of women in the world of popular music through more than 250 artifacts, such as instruments, costumes, photographs, and album covers. What�s a little blood worth compared to all of that, right?